In Wednesday’s free Web clinic – Homepage Design: The five most common pitfalls and how to overcome them – Flint McGlaughlin (the Director of MECLABS Group) will cover specific steps any marketer can take to improve the effectiveness of a homepage. If you can sell your stuff directly online then your website needs to make this as easy as it can. This way, your site visitors will buy your stuff and experience your products, your service, your fulfillment process, and possibly contact you. All these touch points can boost your brand more than a static ra-ra website ever could. You don’t need to say “buying from us is easy” – you just make it … easy. If you cannot sell online then your conversion goal is to engage the visitor and help her to become a customer offline. Your conversion goals will then be downloading case studies, using store locators, asking questions online, using product selection wizards, and so on. All of these can boost your brand by showing that you care about your customers and can invest the time and money in providing a great online experience. And they push the site visitor towards the offline sale as well. These mini-conversion points are measurable as well so you can see what real people want to do and test variations to help more of them do it. An effective home page design will use the most important elements of a brand to achieve a conversion goal. Its use of graphics and text should drive the consumer or business professional through a conversion funnel, at the end of which will be a lead generation form or product purchase page. Branding builds trust, generating sales. It can be achieved with a page layout that utilizes shapes and colors from a memorable company logo. Powerful written content is also part of branding. Every company needs a tag line, as well as ad copy that pitches the benefits of a product or service. Netflix.com is a great example of a well-branded home page that converts visitors into leads. The logo is simple yet appealing. Its shape and color echo that of the famous Hollywood sign in California. Just as Netflix’s logo uses white letters, so too does the text on each of the navigation buttons on the home page. 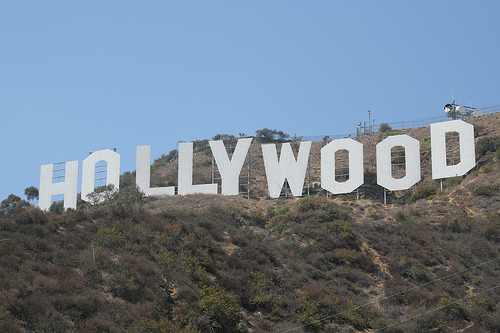 The background of the page is red, communicating the Hollywood idea of rolling out the red carpet. On the left side of Netflix’s home page is ad copy showing consumers what they’ll receive after subscribing to the video rental service. On the right side of the page is a simple form that enables consumers to register for a free one-month trial subscription. Netflix also does a great job of answering questions. The navigation buttons provide a way to find out how the service works, what’s offered in the free trial, and which movies are available by mail and video on demand. Nothing on the website is just about branding. Everything should move visitors down the sales funnel. I’d think that the major goal of the homepage is to state the general business of the company and provide links to more specific services (each a landing page so people who arrive via search engine on those pages know what they are looking at). Make the links to more specific services obvious and easy so the bounce rate goes down and you don’t lose people.